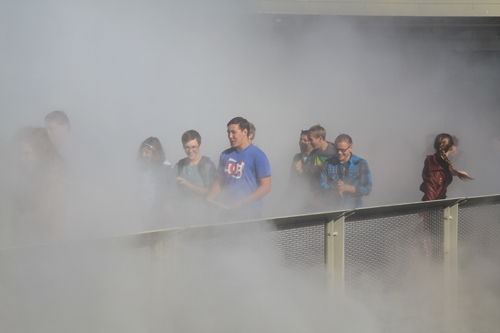 Dramatic Exploratorium Entrance- students engulfed in mist on the Fog Bridge. 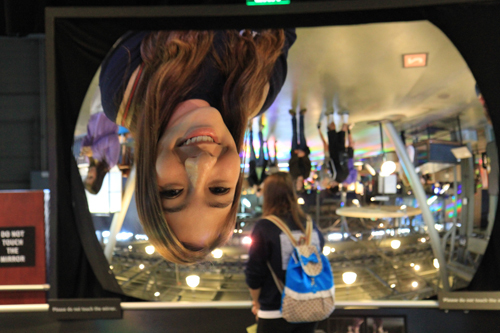 Crazy mirror creates a "real image" that is reversed and upside down. 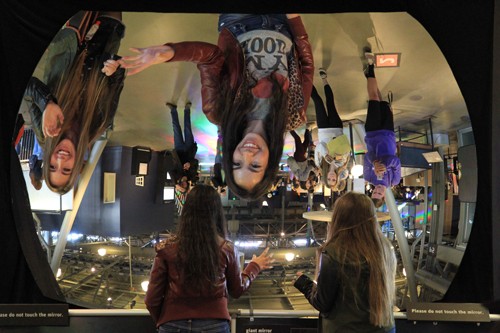 Crazy mirror creates a "real image" that is larger than the object. 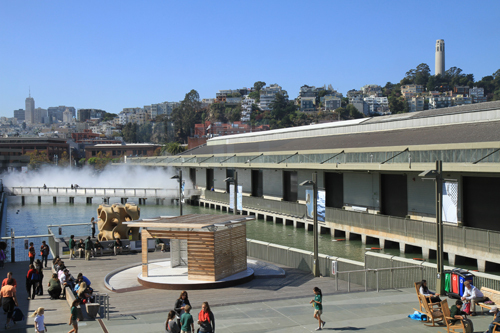 The Exploratorium's new location along the Embarcadero below Coit Tower.